Continuous Education Concludes a Training Course for the Office of the Prime Minister's Staff . Continuous Education Concludes a Training Course for the Office of the Prime Minister's Staff The Department of Continuous Education at the University of Information Technology and Communications held a training program for a group of staff of the Prime Minister's Office that included a Microsoft Office training course, Microsoft Excel, and Microsoft Word. 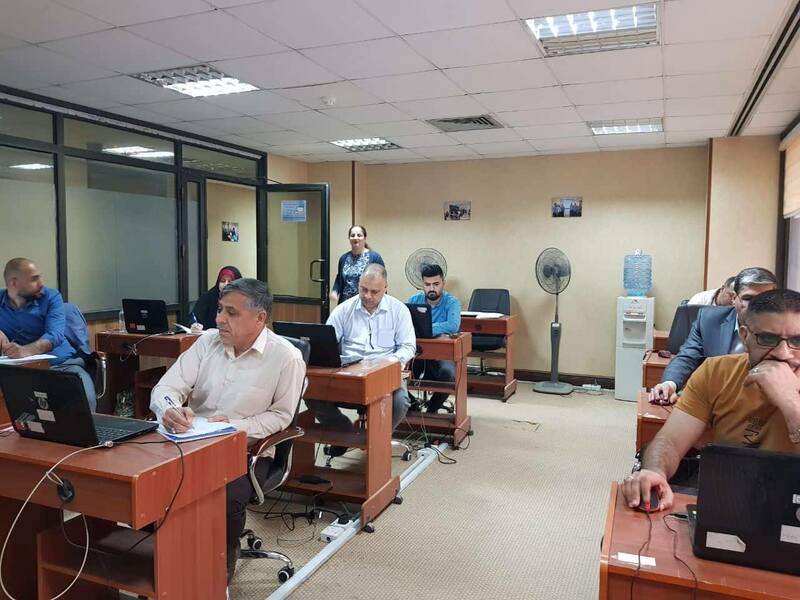 The training course, which was given intensively in (10) days, was prepared especially for the second group after the first group ended the same course and was coordinated between the Department of Training and Development in the Prime Minister's Office and the Department of Continuous Education at the University of Information Technology and Communications. The Microsoft Word course aims at introducing participants to the text editing program and create and prepare the page with advanced skill as well as improving their official correspondence. The Microsoft Excel course aims at introducing the participants extensively to the tables, creating various tables and performing various mathematical calculations on them in an organized and coordinated manner.